Combine oil through pepper in a small bowl. Mix well. Using a brush, evenly coat each portobello mushroom and onion slice with oil vinegar mixture (you may need to mix more, depending on the size of your onion and mushrooms). Grill portobello mushrooms for 12-15 minutes (about 6 minutes on each side) and onions for 8-12 minutes (about 4 minutes on each side), or until cooked through. 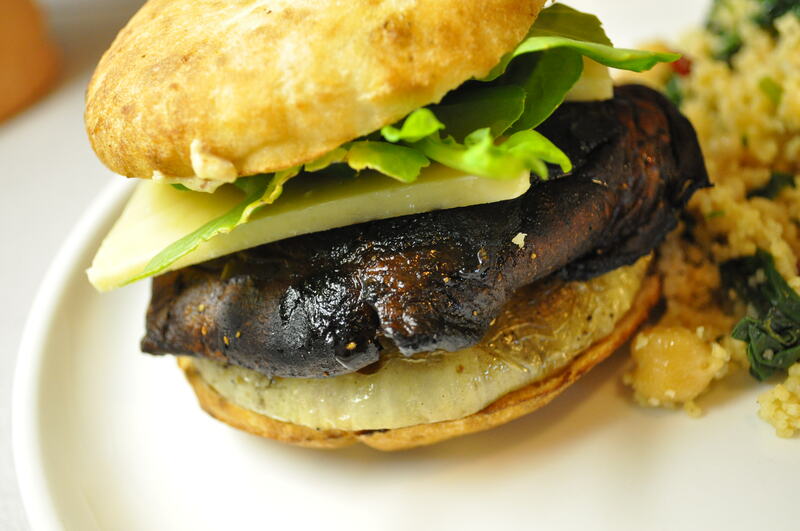 Serve 1 grilled portobello mushroom and 1 grilled onion slice on small, high quality buns topped with dijon mustard, mayo, cheddar cheese, and lettuce. Using a salad spinner, rinse and spin the lettuce and tear into bit sized pieces. Chop the scallions and dill. 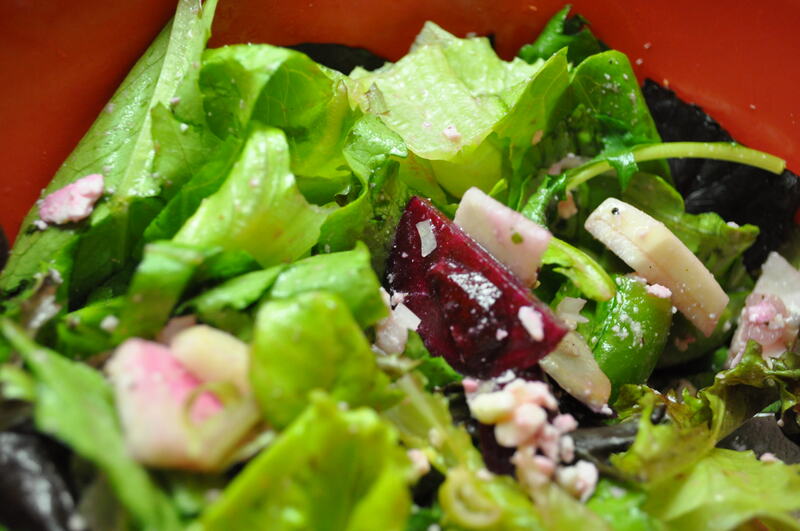 Combine all ingredients in a large bowl and toss with vinaigrette. Serve immediately. Thinly slice the turnips and raw beets (no need to peel spring turnips or beets – you can eat their skins too) and chop the green onion. 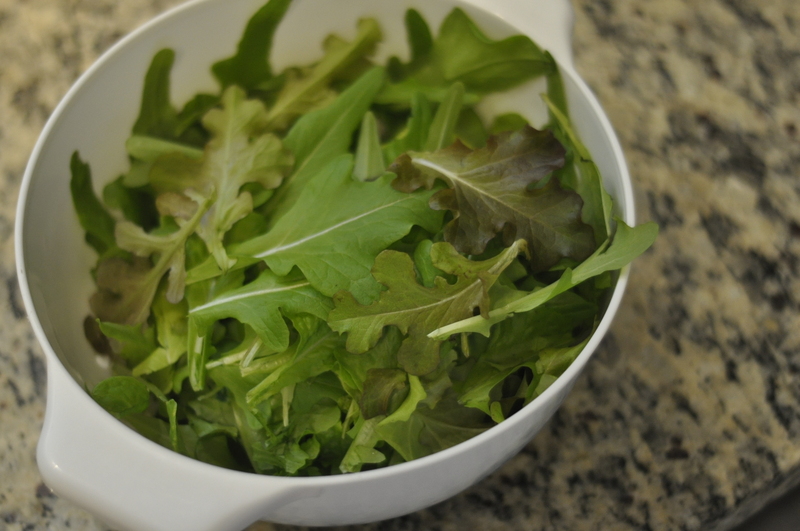 Toss lettuce through vinaigrette in a large bowl. Sprinkle with feta cheese and serve immediately. 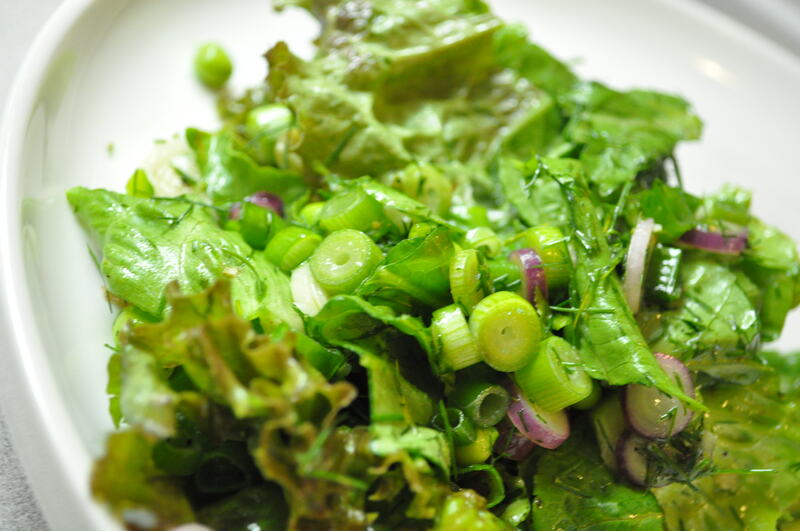 Thinly slice the turnips (no need to peel spring turnips – you can eat their skins too) and chop the green onion. 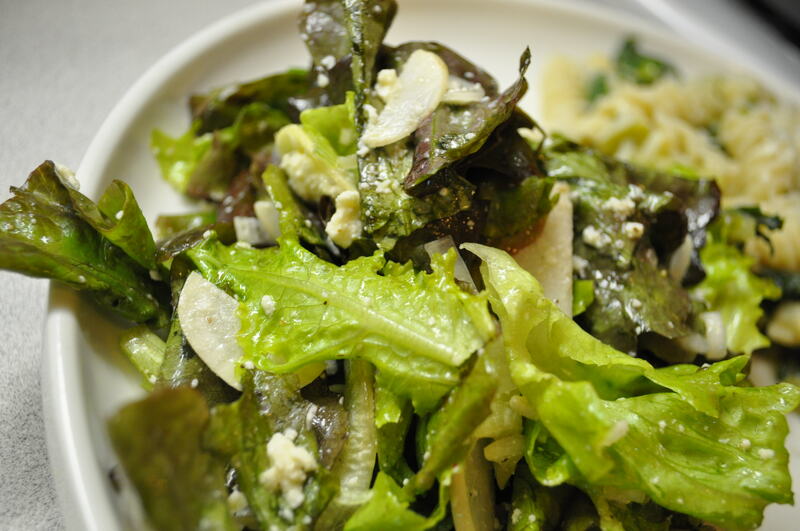 Toss lettuce through vinaigrette in a large bowl. Serve immediately. This is the most local of salads – picked from my garden 10 minutes before I was about to serve, and hand washed on ensure there was no dirt or bugs. 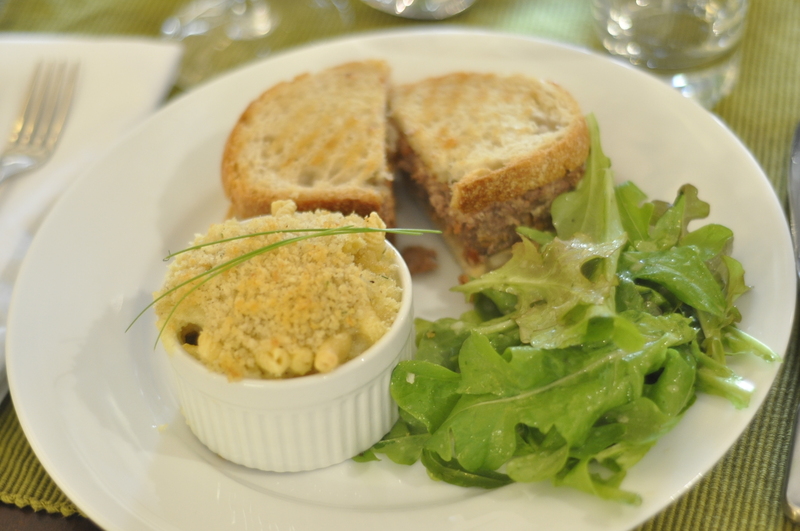 I dressed it with a little of this vinaigarette dressing and it was a huge hit! 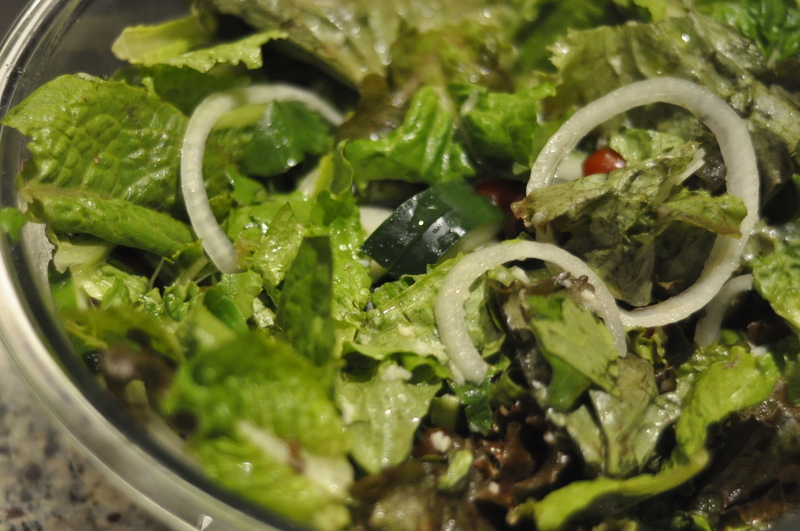 The salad, while simple, took center stage. A simple recipe from Bon Apetit, I also added some tomatoes, white onion and olives to this. To remove the sharpness of the onion, I soaked it in ice water for 5 minutes before adding it to the salad. A nice, light side to go along with some of the heavier items. 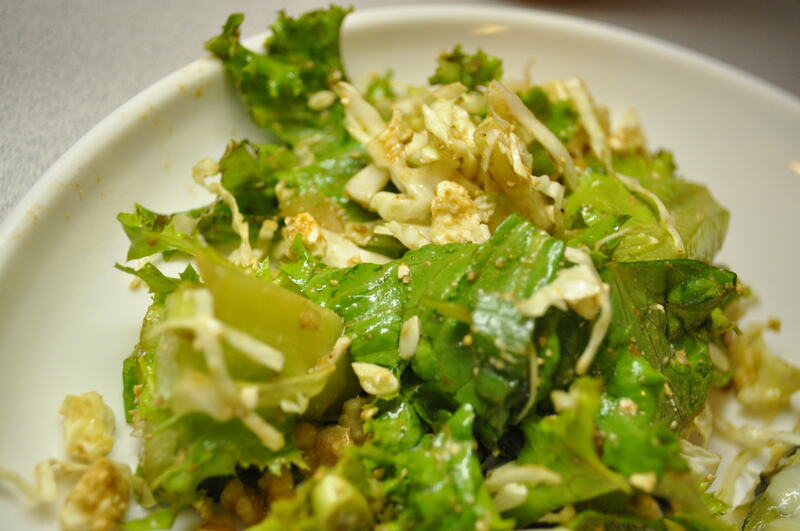 This is a very simple, tasty dressing. 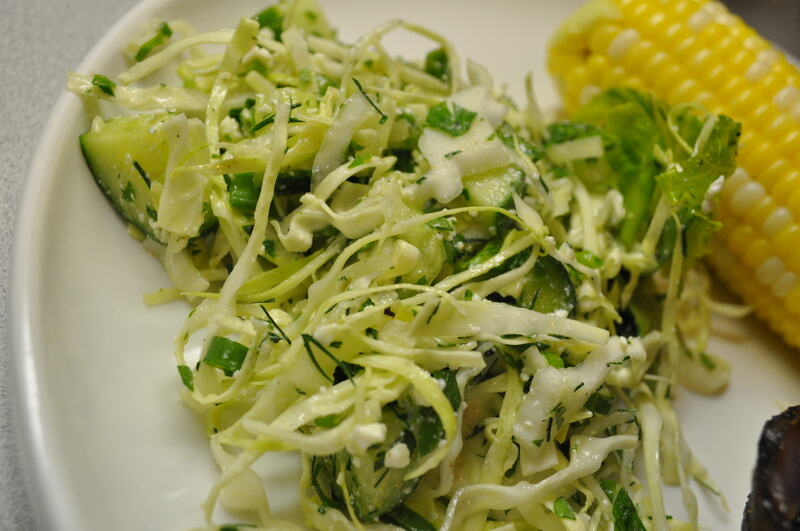 Great for a simple green salad. Makes a great side dish for enchiladas. Combine in a small glass jar with tight fitting lid. Shake vigorously. Let stand for 5 minutes. Shake again, until salt is dissolved.